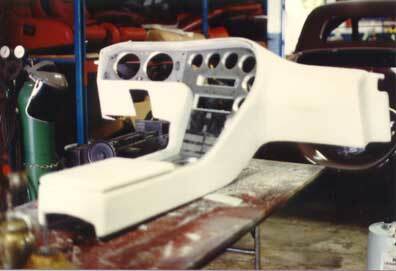 We begin with the open space and carefully measure the dimensional aspects of the vehicle. 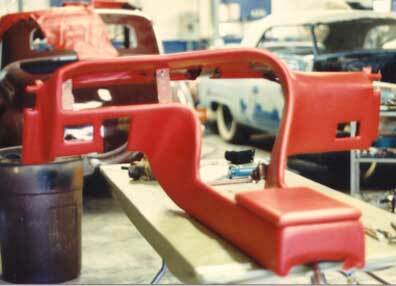 Next the frame is assembled using the artistic designs of Clint McVicker. 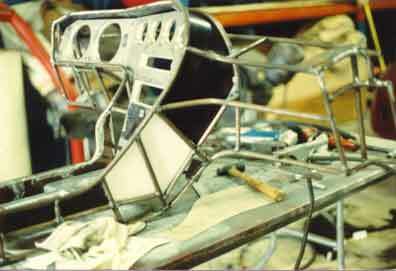 Each grid of the frame has reinforcing sheet metal added for strength. 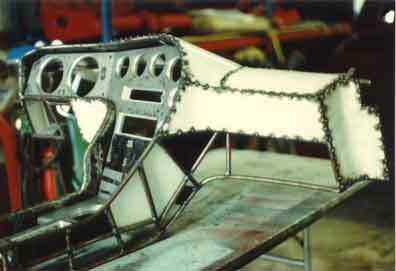 This instrument panel was milled from one inch thick aluminum. Foam is sculpted to perfection of design and a padded dash feel. 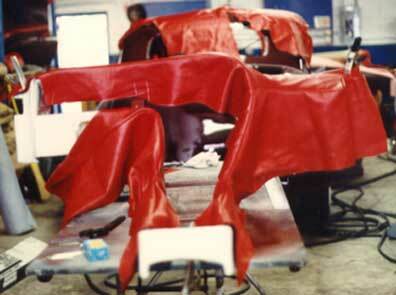 High grade leather is cut to pattern then masterfully hand stitched. The results are incredible. 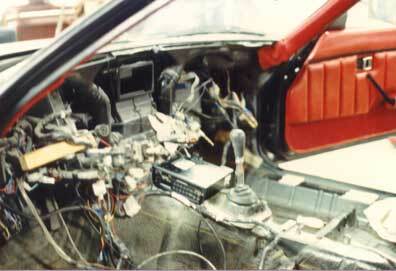 The dash is now ready to be assembled.